• Email for help • Congress enacted the Consumer Product Safety Improvement Act of 2008 and we must now note that these ARE NOT TOYS, AND ARE NOT INTENDED FOR USE BY CHILDREN UNDER AGE OF 14. 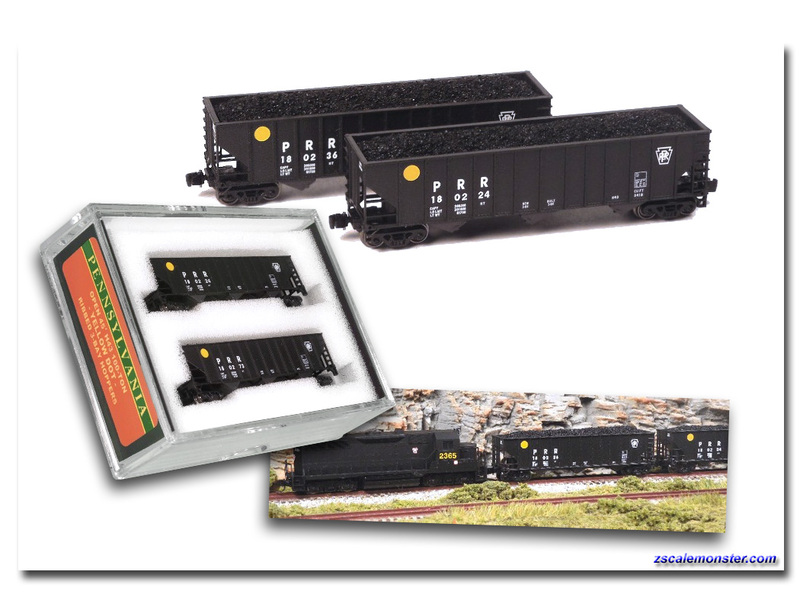 These products are Model Railroad Equipment and Accessories intended for use by adults. • Let everyone know about your favorite dealer! • Premium high-grade vinyl bumper stickers. The Denver and Rio Grande Western Railroad (DRGW), " Through the Rockies," was a major origin of coal and mineral traffic, and the epitome of mountain railroading, operating the highest mainline rail line in the USA. 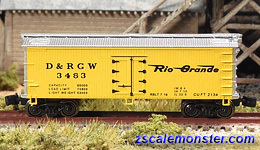 In 1988, the Rio Grande, purchased the Southern Pacific Railroad. 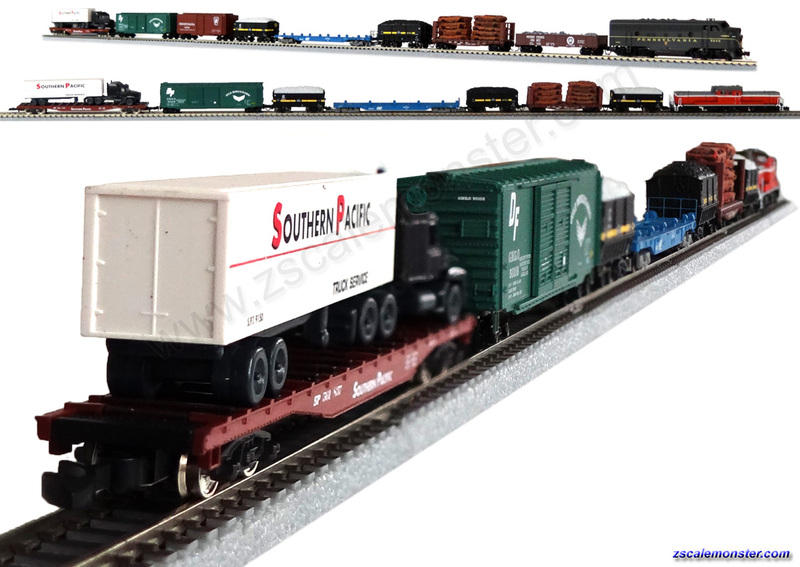 The unified company took the Southern Pacific name due to its recognition among shippers. By the early 1990s, the D&RGW became largely dependent on hauling high-quality coal from the mine fields of Colorado and Utah. 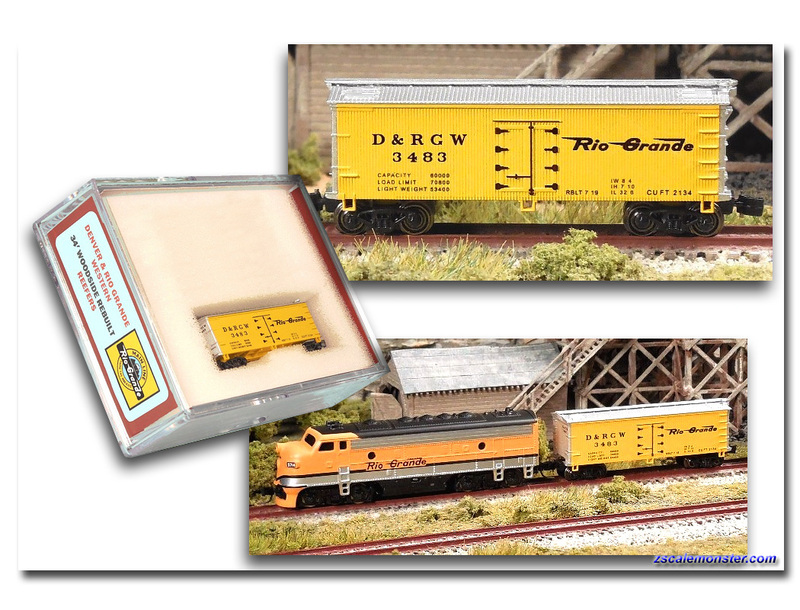 In 1996, D&RGW was sold and merged into Union Pacific Railroad. At the turn of the 19th Century, during America's Industrial Revolution, our Railroads refurbished many of their older cars for more modern use. Steel underframes, Bettendorf trucks, and newer brake systems were employed. 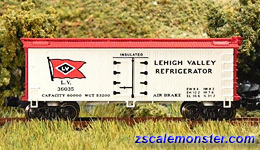 Full Throttle brings Z Scale a small, renovated 34' freight/reefer/ice car which would find use on the Railroads into the early diesel era! 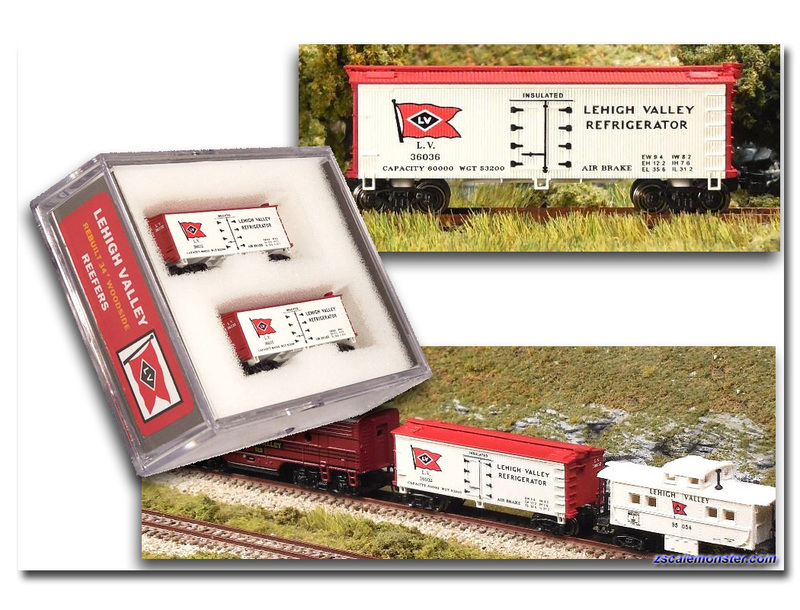 The Lehigh Valley Railroad (LV) named in 1853 was known as the "Route of the Black Diamond," and was built mainly to haul anthracite coal. The LV also provided passenger and freight service hauling goods, wares, merchandise and minerals. LV ended operations in 1976 merging into CONRAIL. At the turn of the 19th Century, in the throes of America's Industrial Revolution, Railroads refurbished many of their older cars for more modern use. Steel underframes, Bettendorf trucks, and newer brake systems were employed. 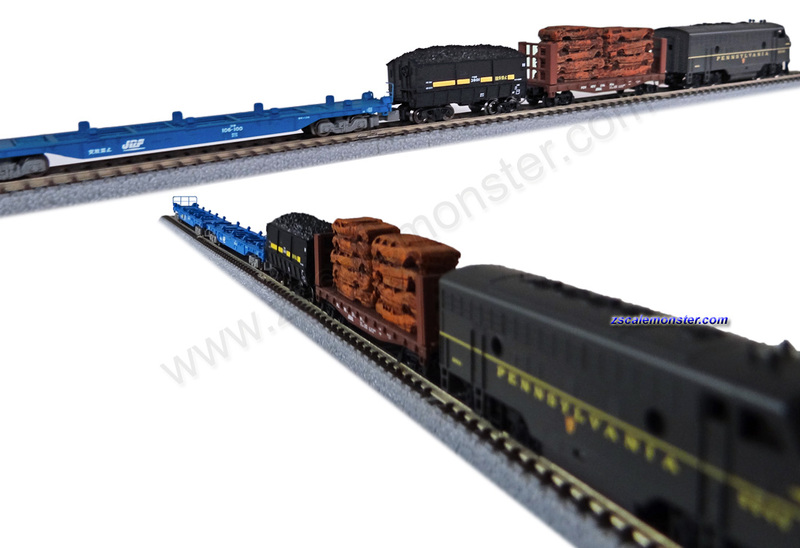 These small, renovated 34' freight/reefer/ice cars would find use on the Railroads into the early diesel era! 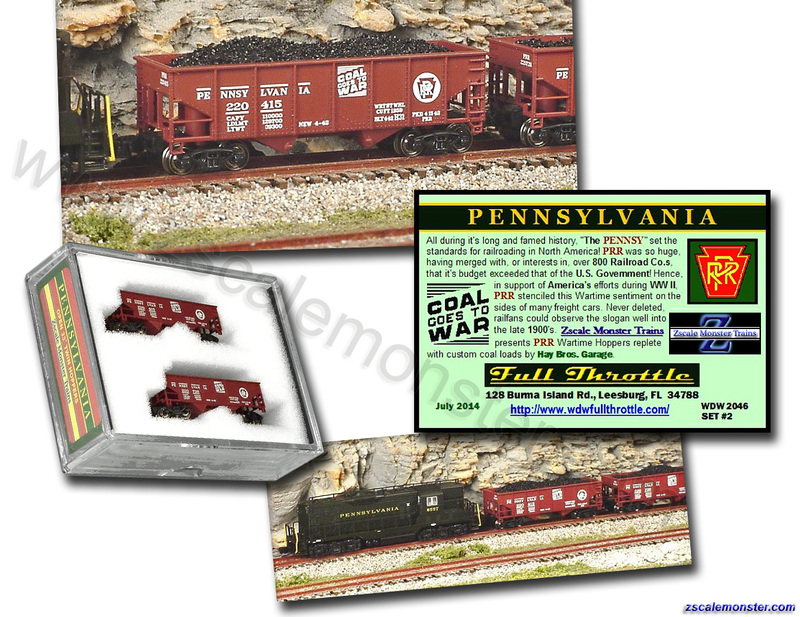 Pennsylvania RR "Coal Goes to War"
#FT-2046 PRR "Coal Goes to War"
This is an exclusive PRR release sold only at zscalemonster.com. 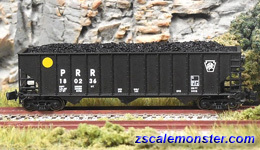 Build up your PRR Hopper fleet with this special run. Stenciled with the "Coal Goes to War" motto during WW II and appeared on the tracks all through the "Steam to Diesel Era" of Railroading. 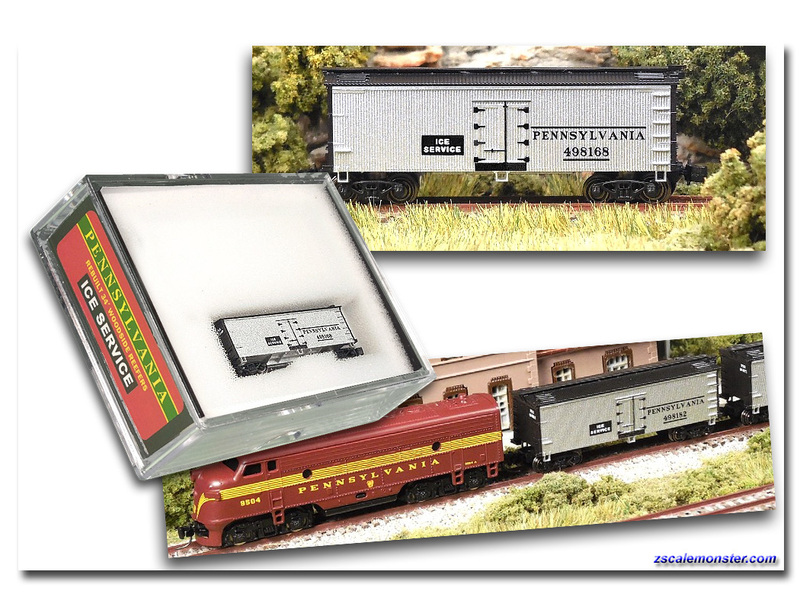 All during it's long and famed history, "The Pennsy" set the standard for railroading in North America! PRR was so huge having merged with, or interests in, over 800 Railroad Companies that it's budget exceeded that of the United States Government! Hence, in support of America's efforts during WWII, PRR setenciled this Wartime sentiment on the sides of many freight cars. Never deleted, the railfans could observe the slogan well into the late 1900's. • Manufactured by Bowser Mfg. 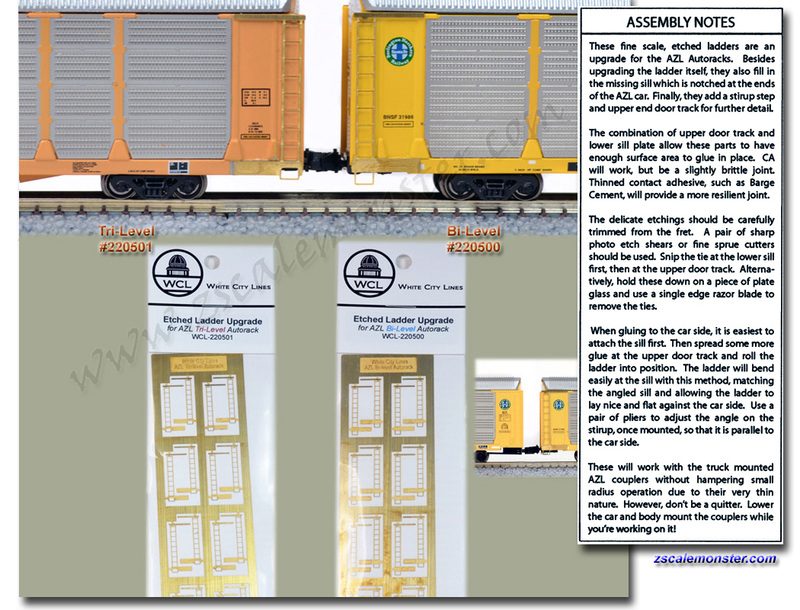 Many myths abound concerning the "Yellow Dot" on the large Pennsy open hoppers! 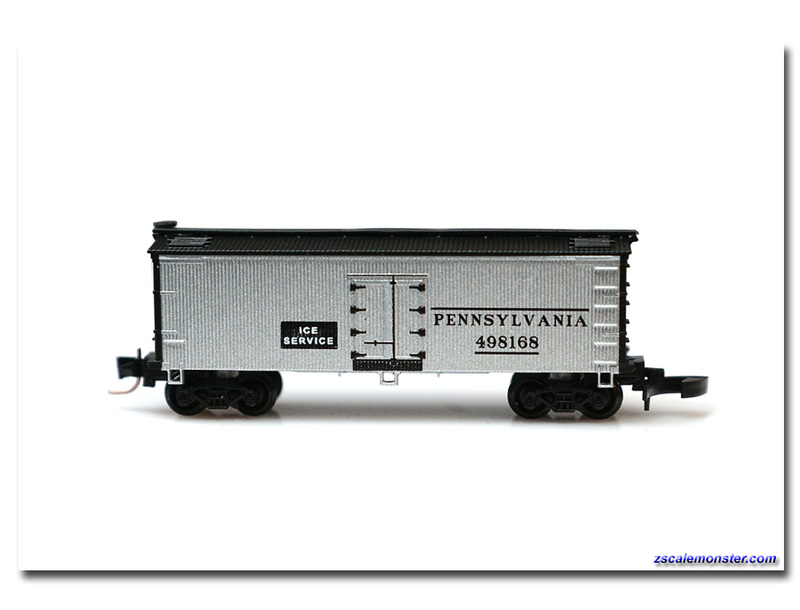 The H43s were the last and largest-capacity production class group of open hoppers still using 33" wheels introduced by the Pennsylvania Railroad. Many of Pennsy's 7,500 H43s were fabricated at the Sam Rea Shops in Holidaysburg, PA and another 4,000 were added to the fleet by Penn Central RR, later. The basic design became "standard," had riveted side stakes, and throughout the country, almost 50,000 very similar cars were built by 1978. Pennsy H43s wore a large "Yellow Disc" painted on at the shop, dedicating the car to Unit Train Service for optimum utilization and preventing general interchange use. 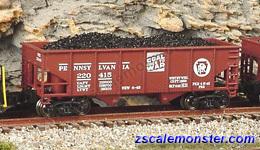 The "Yellow Ball" was simply a convenience to walking car checkers for yard inventory and assembling unit coal train consists. No PRR H43s were built without the "Yellow Dot" and no other PRR Classes had it. 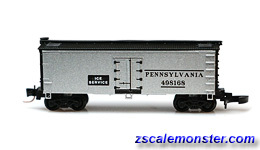 This a very special 33' open, rib-side, two-bay hopper for the Pennsylvania Railroad. 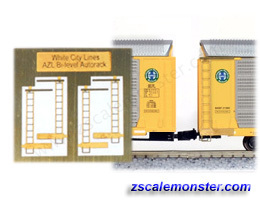 Zscale Monster Trains commissioned this run to sell solely on zscalemonster.com; this is a PRR MoW Hopper painted in Pennsy's "Campcar Yellow!" 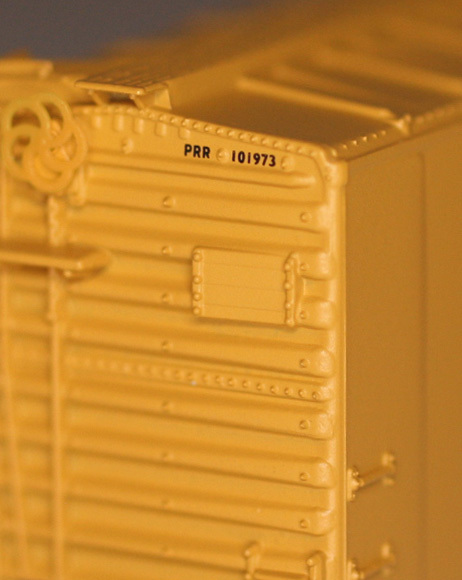 It's patterned after a prototype found at one of Pennsylvania's Historical Railroad Museums. 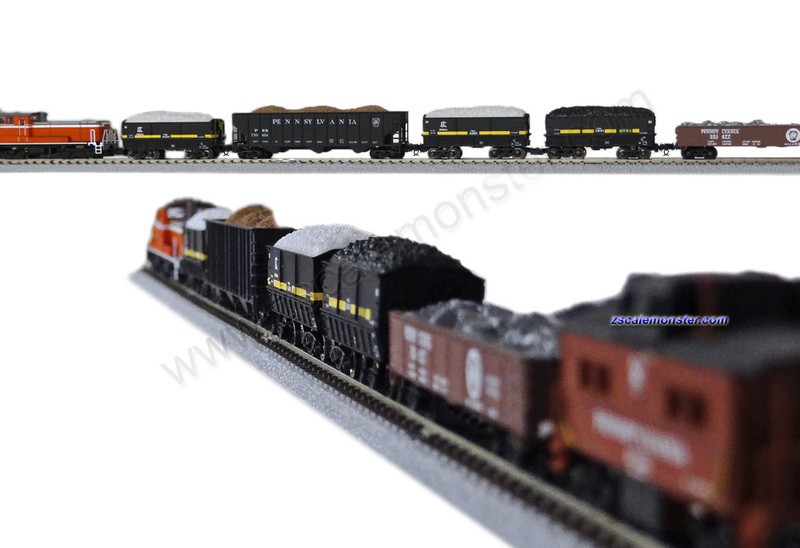 The models were produced by 'Full Throttle'; 'Hay Brothers Garage' created the fantastic sand and gravel loads for them. The printing is simple, done in black, but the yellow color makes the car a stunner! This is how Pennsy painted all their MoW workers. • Very popular with the coffee addicts! 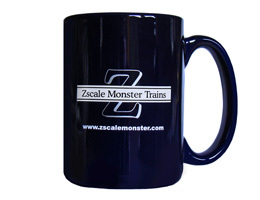 • Enjoy your favorite drink with a large Zscale Monster Trains mug! • Buy one for your home; buy one for the office! Buy one for the club or a gift for a friend! with a pre-assembled Transition car! Equipped with a Marklin Style truck mounted coupler on one end and a Micro-Trains Line Magne-Matic Knuckle Coupler on the other end. 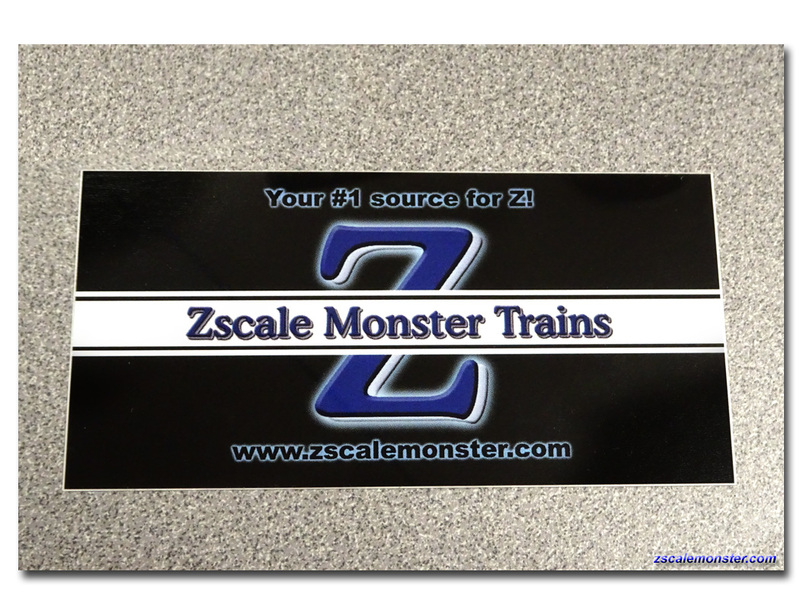 The pictures above, and throughout this website, are the property of Zscale Monster Trains. Copying any for retail use is theft. 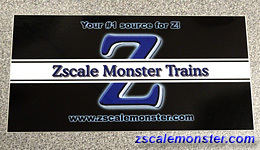 Many were designed by Zscale Monster Trains for use on this site only.